Avocados are often referred to as natures perfect food as its full of vitamins, minerals, healthy fats, fiber and many other nutrients! 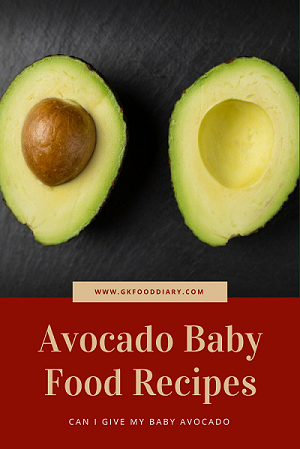 Good fat in avocados is especially suitable for baby’s brain and overall development. 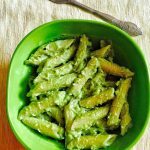 Avocado has a unique taste, excellent flavor and has many uses in cooking, snacking and baking! It is known as “butter fruit” in parts of India. 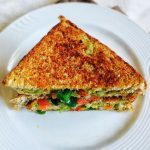 Here are some ways to include avocados in your child’s diet with more information about the health benefits of avocados, how and when to introduce avocado to baby etc. 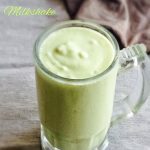 Avocado makes an excellent first food for babies because of its green deliciousness and creamy texture. It can be given to babies from 6 months. 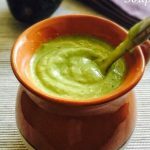 No need to cook the avocados for baby food, remove the outer layer, seed and use the meat inside. 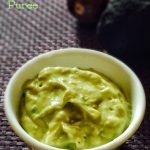 Start with plain avocado puree when you introduce avocado to your baby. 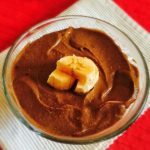 Once your baby is doing good with it, you can combine with other fruits like banana, mango, apple, pear, yogurt/curd, etc. After eight months you can include sliced ripe avocados/avocado salad as finger food to babies. Choose avocados that are firm, dark green and with fewer indentations. A ripe avocado yields out when pressed gently. Consume the ripe Avocados within a day or two. Place it in the refrigerator to slow the ripening process if not using immediately. If the avocados don’t yield to gentle pressure, it firm and unripe. Unripe avocados can take four to five days to ripen at room temperature. You can do a stem test, pull off the stem after purchasing an avocado. Pull off the stem. 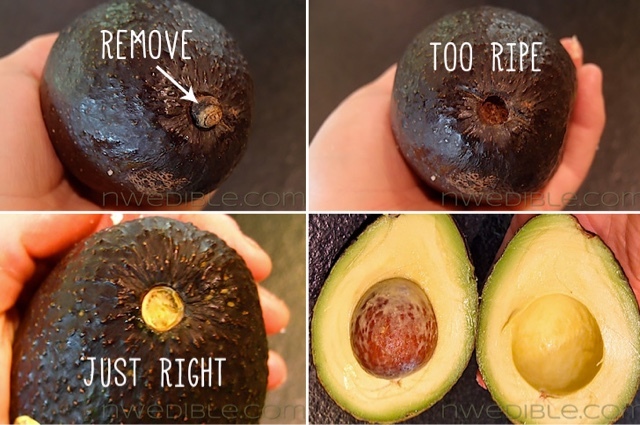 If the stem doesn’t pull off quickly, avocado is not ripe yet. You should wait for a few days to do the test. If the stem comes easily and the color underneath is bright green, it is perfectly ripe and ready to use. If the color beneath is brown, it’s overripe and doesn’t taste good. Avocados are an excellent source of healthy fats. It helps your child’s body absorb nutrients more easily from other plant foods. Antioxidants in avocado are good for baby’s eye health. Vitamin C in avocados protects baby’s body tissue from damage, which results in healthy skin and hair. Avocado contains more protein which is good for vegetarian kids. The high potassium levels found in avocados is useful for regulating your baby’s muscle growth. Avocados have a right amount of calcium and protein. That helps to build & maintain healthy bones and teeth in children. The fiber content in avocados helps developing digestion system and prevents constipation in babies and kids. 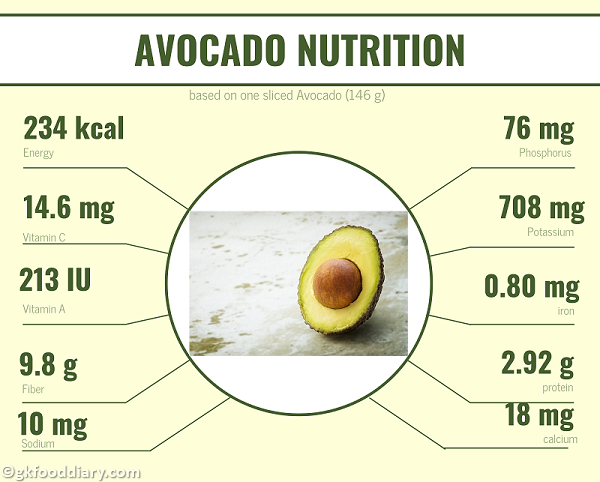 Avocado supports heart health because of its folic-acid content. 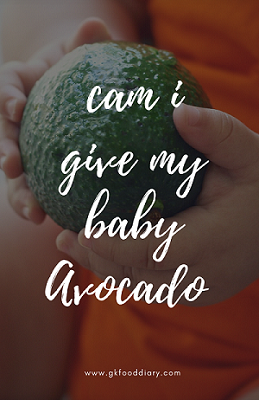 Indeed, avocado is a fantastic fruit for babies and kids! 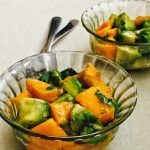 When Can I give my Baby Avocado | Avocado Baby Food Recipes - full of vitamins, minerals, healthy fats, fiber and many other nutrients! 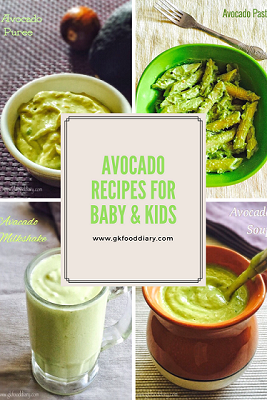 Good fat in avocados is especially suitable for baby's brain and overall development.